On the banks of the Sabie River, and situated only 100 meters from the Kruger Gate of the Kruger National Park, the Protea Hotel Kruger Gate provides guests with the ideal situation from which to experience Africa first-hand. Truly the gateway to Nature, the lodge offers arranged game drives through the Kruger National Park, along with open vehicle safaris and organized game trails. The rustic Bush Boma and River Boma are ideal for private venue hire. Situated in the hotel’s 100 Ha private reserve, the Bush Boma can accommodate a maximum of 80 diners. With a maximum capacity of 200 guests, the River Boma is located within the Kruger National Park on the banks of the Sabie River. Guests are accompanied by a game ranger at all times to both venues. 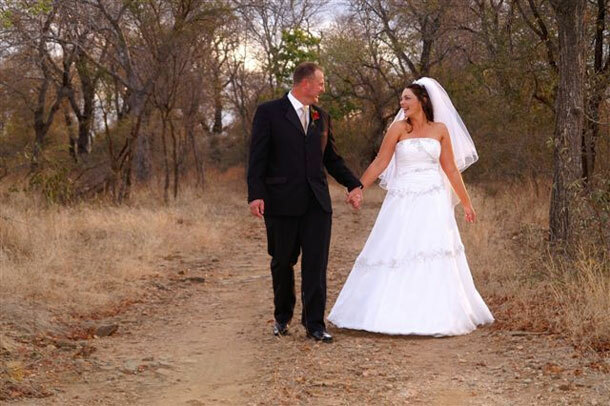 Most of our weddings are hosted inside River Boma or in Bush Boma, and for your reception you have a choice between being outside on the viewing deck overlooking the Kruger National Park, or the open-sided African Convention Centre. The unique view deck and sundowner bar area, overlooking the mysterious Sabie River flowing through the Kruger National park, offer front row seats to a very spectacular display of Africa. The deck allows our guests the opportunity to come within touching distance of Africa’s impressive variety of game. Explore the experience of the wild, by going on a walking trail with an expert guide in the hotel’s private reserve. 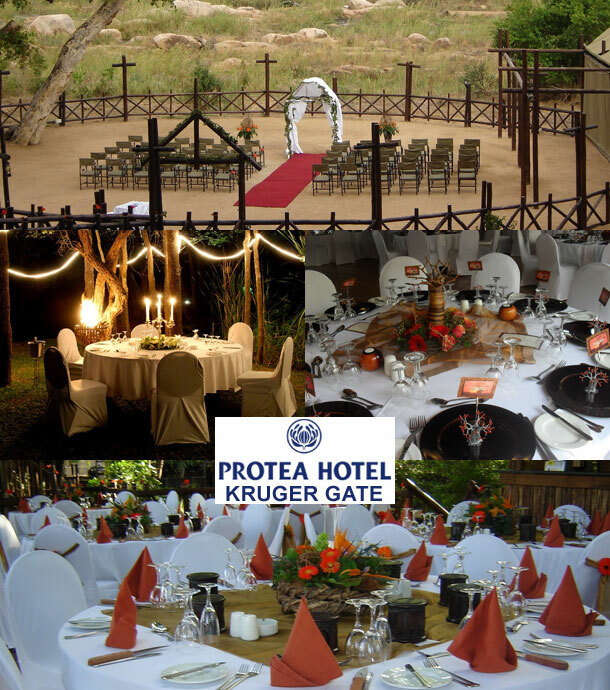 To book your wedding at this venue telephone Phetsile on +27 (0)13 735-5671 or if you’d like to send and enquiry or find out further details please visit Protea Hotel Kruger Gate.